Should I invest, or should I pay off my debt first? Good question! And I love exploring this topic with my clients and finding a fitting solution. I may not know your personal circumstances to sensibly advise you, but I do know that the first step to building wealth and being financially free is to truly understand your HABITS. I always say that wealth is 90% behaviour and only 10% investment knowledge. So, there are some things to consider when it comes to deciding to invest your money, or to pay off your debt, or to find a happy medium! Better to pay off short-term debt first – credit cards, personal loans, clothing accounts, etc. Small regular investments beat lump sum investments any day! If you enjoyed this podcast, we suggest listening to How to start investing and Four things you need to know about your house. Enter your name and email address, and we’ll send you a cheat sheet on how to invest! Speaker 1: 00:00 Welcome to Working Women’s Wealth where we discuss what it takes to build real wealth in a way normal humans can understand. Here’s your host Lisa Linfield. Lisa Linfield: 00:21 Hello everybody and welcome to today’s episode of Working Women’s Wealth. 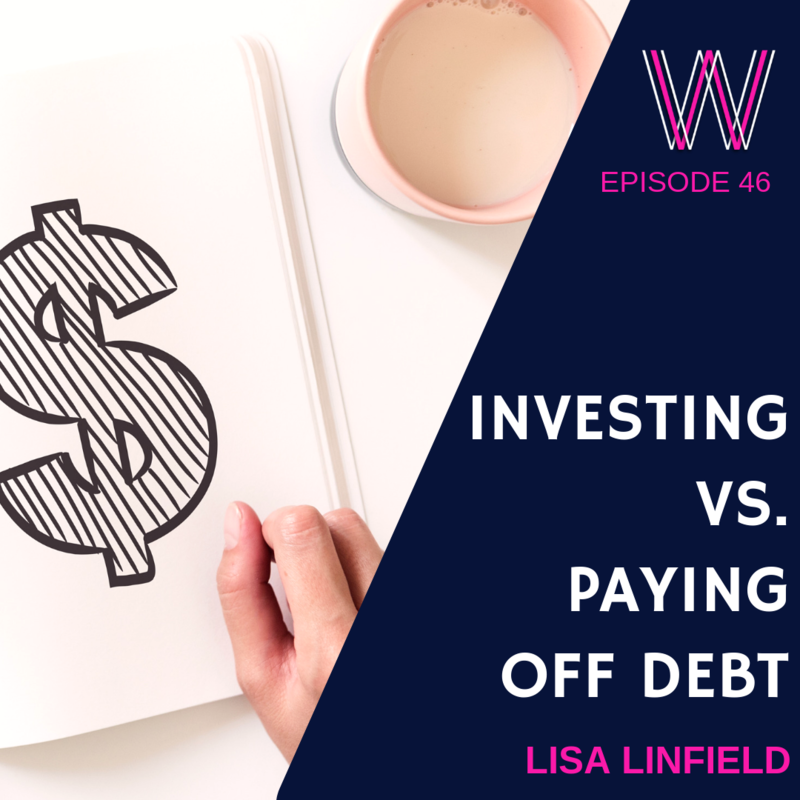 We’re going to be chatting about a question that I get asked pretty often, on if I have a little bit extra should I invest it or should I pay off my debt. It’s a question that is very difficult to answer because I don’t know you or your personal circumstances but I can give you some guidance as to how to approach it and what you should think about in order to come to a right answer for you. The first thing is whether or not this debt is short-term debt or long-term debt. Short-term debt are things such as your credit cards, your clothing account, any form of personal loan, things where there are high interest rates. These are the kind of things that you buy that dress on long-term credit or so you think and by the time you finish paying it off you’ve paid for that dress twice or three times. So this is the debt that you should pay off very quickly. And here people choose two different strategies. The first one is that many people advise is to payoff the most expensive one first. Now that is a very good and very appropriate advice because obviously the quicker you pay it off, the less interest. But there is another school of thought which says you should pay off the smallest one the quickest and the reason why is that gives you a sense of personal triumph that you’ve nailed one of those monsters and got rid of it. So which ever one works for you, if you’ve got short-term debt definitely pay it off first. If you’ve got long-term debt and this is things such as your mortgage or home loan, your car loan and even your study loans this then, there are more things to consider and the reason I put study loans in this category is that for most instances study loans are actually at a cheaper interest rate than your short-term debt and also sometimes it’s even cheaper than your home loan or your car finance. So definitely if you have longer term debt the following strategies are about to come through for you. But even if it is short-term or long-term I really still recommend you saving a small amount in the meantime. 200 rand or 20 dollars. 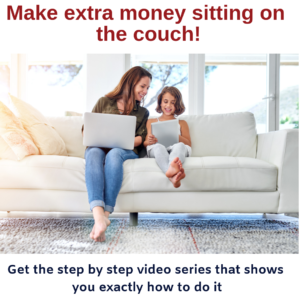 And the reason why I said it is it’s a huge mindset shift that takes place when you start to put a little bit of money away instead of just feeling like you’re going backwards all the time. The other thing abut it is that once you’ve put in place that account with a regular monthly 200 rand or 20 dollar standing order if you do have a little bit extra you can just pop it in there easily. So when it comes to long-term debt I think that there are three major things that you should consider, the first of which is your behavior. I always say the wealth is 90% behavior and 10% investment knowledge or technical knowledge and when it comes to creating wealth you really need to be honest about how you behave and understand what it is that can set you up for success and what it is that is in actual fact self-sabotage. Many of us have a facility with our home loan or mortgage where we can put extra money into it and theoretically pay less over a long period of time. It really is a very, very good thing to do. But the challenge with the theory is that there are many of us and I speak from experience including myself in this one, that put extra bits of money in at the beginning of the month and then draw it out during the month and the theory of it is that over a long time you’ll save a lot of money in interest. But in practice if you go through a 12 month cycle you find that actually you end up drawing out more than you put in and you start going into that capital buffer. So if this is you, you need to know that the golden rule of wealth is never ever, ever use capital to fund expenses. Never use your investments to fund your expenses. If you need a way to make sure that you have an emergency fund than rather save towards an emergency fund that you can access for those months that you go over. But if you’re going to use your home loan as a way of accessing extra capital then definitely don’t put your extra money here because the temptation is too much and for myself and for many other clients this is one of the things that I’m absolutely aware of, that in actual fact we end up going backwards and going into our savings rather than using a home loan for a home loan. So don’t use it to manage cashflow. Rather, take that money and invest it somewhere else because the theory is good but the practice isn’t. And in episode 36, four things you need to know about your house I talk in detail about this. So your mortgage should only be used to pay down your house. In these circumstances definitely invest rather than pay down your mortgage and put it in a place where you’ll have far less easy access to it. It comes down to that principle that I talk about often. Take money off the table. If it’s there we spend it. If it isn’t we won’t. And if we can’t access it or it’s hard to access, now these are where 30 day notice, 60 day notice, things where you have to give extended periods of time of notice work really well because you can’t just access them quickly. And it always amazes me that when those options aren’t available to us we all easily come up with a plan to work out how to get around this particular situation we’re in. So the second factor that you should consider is about paying one extra payment a year. So for any of your long-term debt, home loans, vehicles, student debt, if you are using it only for those purposes and you pay off one extra payment per year, if you are in America or the United Kingdom that will save you two to three years of payments. And if you are in a higher interest rate environment such as South Africa you could save up to six years of payments just by doing this one thing. And that gives you extra years to put into your investment. So again it just comes down to that discipline. There’s no point putting that extra month worth of payments to make sure that you can finish paying off your home loan quicker and then you end up spending that money. I tell my clients that either they should commit to taking that one payment out of their bonus or alternatively divide it into 12 chunks and pay it each month, an extra little standing order into your home loan to pay that monthly piece of home loan off. If you want an extra Christmas bonus then take that amount and divide it by 11 and give yourself a little break at Christmastime. But paying that one extra payment will make a huge difference in terms of the interest payments that you make to the bank and then you finish paying it off quicker. Yah. And then you make sure that you are very disciplined about the minute that bond is finally settled you then put that amount of money that you used to paying off your house straight into your investments. And the third thing is never forget small, regular investments beat big-bang stuff any day. So I want to take you back to episode four when I started about how to start investing and I shared with you that if you were to have 200 rand a month or $20 a month from the age of 20 to 70 you can have 18 1/2 million rand or over $1 million set aside for your retirement. Regular consistent amounts over a long period of time is what is key and the crucial thing here is time. You need time for this compounding to take effect. So set up an investment account that takes that little bit of money off the table and allows you to have that account at a time when you’re going to need it. If that account is in existence, if you do have a little bit extra in a month you can always just pop it into that account. If it doesn’t exist then what ends up happening is you end up spending it and so if you just have this little bit going off the table every single month you won’t miss it but it will make a huge impact over the long term. I just got a hold of my 21 year old cousin and said to her that she should definitely be opening an account for a tiny little bit of money every single month and I really advise each one of us to make sure that we do it. So going back to the first step of wealth and of this particular problem is to truly be honest and understand your behavior. Will you spend the extra money if you have access to it? Or will you be able to put it in a place where you can’t access it and it can grow over the long term? If you need access to cash, rather set up a separate account, your three months worth of emergency funds and make sure that you access that rather than accessing any extra capital. 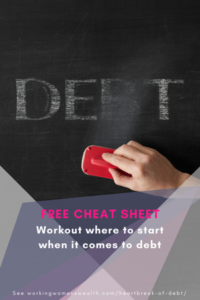 I also recommend that you go onto our website, workingwomenswealth.com and download our cheat sheet, how to invest in six steps. It’s really important that each of us gets to grips with this very important part of our financial wealth. I’m Lisa Linfield and this is Working Women’s Wealth. And download that cheat sheet in order to find out about the six steps of starting investing. Take care and have a great week.